Linz/Vienna, January 23, 2017 – TÜV Rheinland has recertified the Fabasoft Cloud. Two years ago, the Fabasoft Cloud was already the first Austrian company to successfully complete the security analyses of the testing organisation. The recertification of “Certified Cloud Services” by TÜV Rheinland again confirms the Fabasoft Cloud’s high quality and security. While the strict analyses are repeated every three years, a yearly renewal is carried out on the basis of a reduced scope of testing. 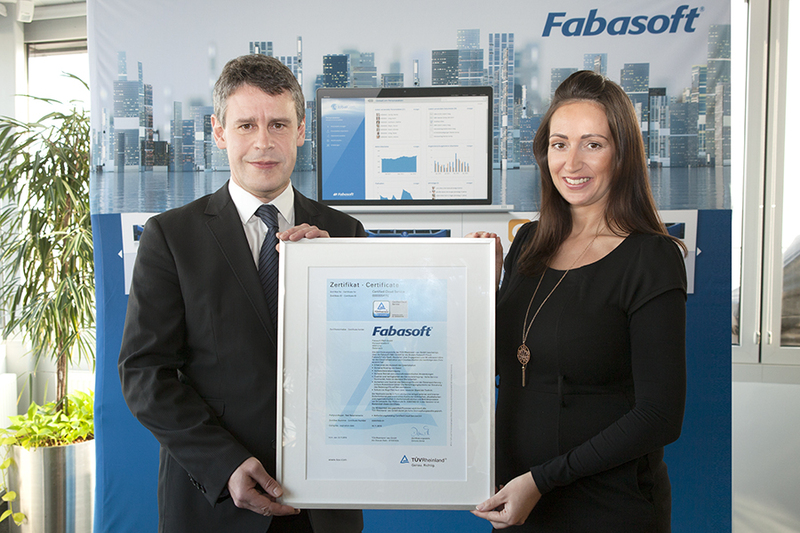 The Fabasoft Cloud has so far been the only Austrian Cloud with a certificate by TÜV Rheinland. The TÜV Rheinland certificate confirms that the Fabasoft Cloud achieves the following objectives for Cloud infrastructure and Cloud application: Secure hosting of data, secure data transmission, secure operation of mission-critical applications, quality and availability of services, high service continuity, high on-demand scalability, security and quality of data access and data storage, secure login procedures and authorisation systems to control data access in networks, as well as protection against attacks by the latest technical standards. For further details see www.certipedia.com (ID 0000054118). In view of the fact that the EU General Protection Regulation (EU GDPR) will enter into effect in 2018, data protection is a topic of particular significance. In 2016, the directive for a high level of network and information security across the Union was completed successfully. As a consequence, companies will have to install appropriate technical and organisational measures meeting the highest demands on security. This is an area where the Fabasoft Cloud offers an extremely high standard. Amongst others, this standard is confirmed by the fact that the Fabasoft Cloud is still the only Cloud solution worldwide with five out of five stars in the EuroCloud Star Audit. Besides the certification by TÜV Rheinland, Fabasoft has also been certified according to ISO 9001, ISO 27001 and ISO 20000, and has been audited by ISAE 3402 Type 2.